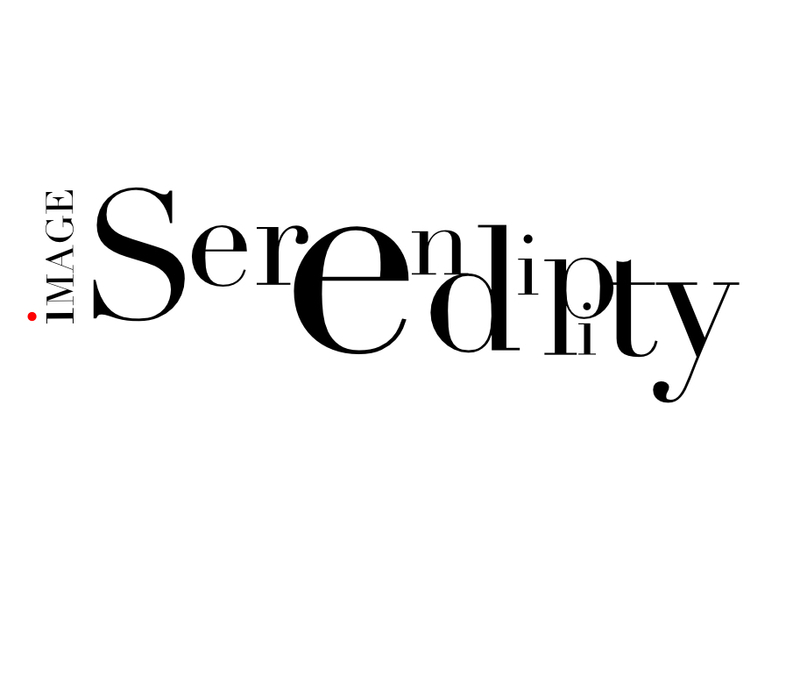 Serendipity • Unexpected unsought surprise in type. John Ironside, Photographer wanted an identity that reflected the joy in the surprise of discovery of something special within the photographs he sold on his new product website. imageserendipity.com. The best solution was a typographic approach. I looked briefly at a hand drawn solution. As I drew I recognised a typeface forming. Bodini originally designed by Giambattista Bodoni in the late eighteenth century, subtly evolving with technology while retaining it’s timeless qualities & readability. 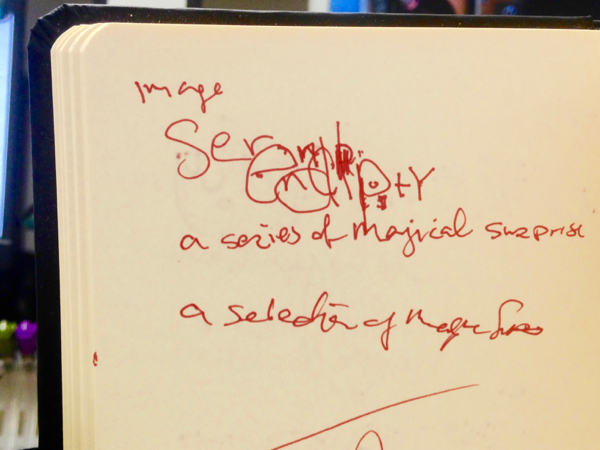 I rearranged the lettering in the manner of speaking the word, Ser en dip ity. Emphasising the various syllables. Grouping and altering the size of the letters to enhance the expression. An excersise in creating a visual sound. The alignment of the word image shouldn’t overshadow serendipity, yet needed to be readable. The logo designed a surprise touch of colour applied to the dot of the i in image and the logo was complete. The logo designed and colour applied the identity was required to work on & offline. A number of formats were required for output. A Red, Green, Blue (RGB) PNG (Portable Network Graphics) version to allow colour accuracy & that the image would have a transparent background where required online. Also an RGB JPEG version was made available for the web. 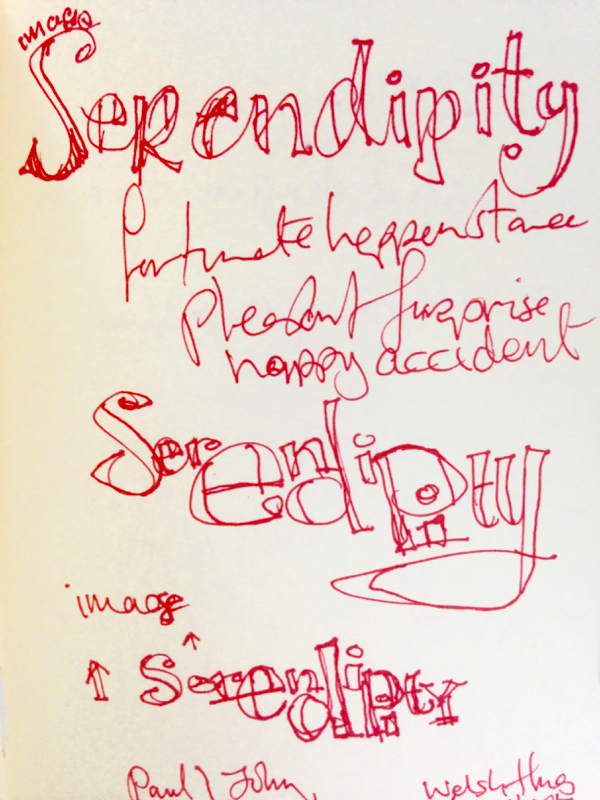 For use on Business cards and commercial print products the image serendipity logotype was output as a CYMK (4 colour, Cyan, Yellow, Magenta & Black) outline EPS (Encapsulated Post Script). The logo was applied to Johns new website, Facebook, twitter and his various online presence. A set of business cards have been printed.